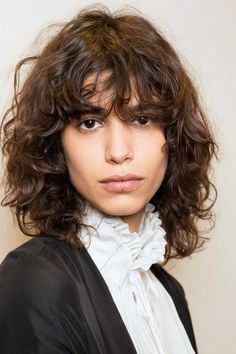 Antonina Petkovic is one of the first models who rocked this interesting hair style,i noticed her because of uniqueness she had. Rebelious but still inocent air that her pictures and video's show bough't. Shaggy nape-grazing bob chik made us all go back to 80's and early 90's.